I’m not a native Arizonan. But in a state of transplants, my nearly 30 years in the Grand Canyon state often make me feel like an old-timer, with the accompanying insight into the vernacular, culture, and natural treasures. So, when I noticed that lists were circulating on social media about things people in other states will never say, I thought it would be fun to come up with a list from my adopted home state. One caveat: Some of these are probably wishful thinking on my part – especially among those recent transplants! If you live in Arizona and you like to hike, there is one accomplishment that stands out. 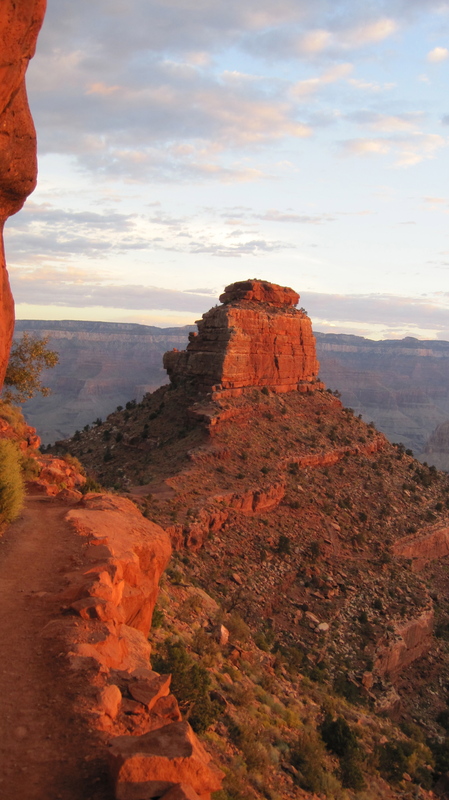 Rim to rim in the Grand Canyon – for many hikers, it’s the big one, the bucket-list trip. The rim-to-rim is definitely not to be taken lightly, and I have seen numerous people – some young and seemingly fit – struggle with the demanding hike. It takes preparation, and it takes knowledge of the terrain and climate. There are various takes on this momentous hike. But for me, “rim to rim” means hiking from the Grand Canyon’s South Rim near Tusayan, Arizona, to the North Rim south of Jacob Lake, Arizona, in one day. Depending on the route you take, that consists of either 21 miles or 24 miles, plus nearly a mile drop in elevation, and more than a mile elevation gain. The day will be grueling, but anyone who has done it can attest to the fact: You will never see the Grand Canyon in quite the same way again.